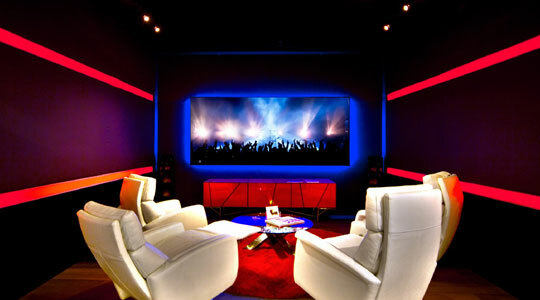 See why black diamond technologies can help you improve your video experience. Never be left in the dark again. With a black diamond screen you still can have the pleasure of using a projector/screen setup and not always having to worry about keeping the lights off. It is one of the only Screens on the market that offers up to 85% light rejection enabling you to view even in daylight conditions. 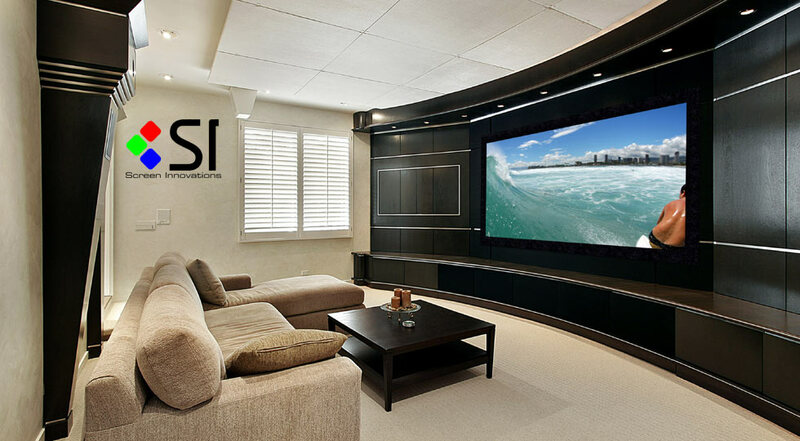 If you are looking to build a theater or meedia room make sure to audition a Screen Innovations screen to see the difference for yourself. Show above is the difference between your regular White/Grey screen compared to Slate and Black diamond in a well lit room. 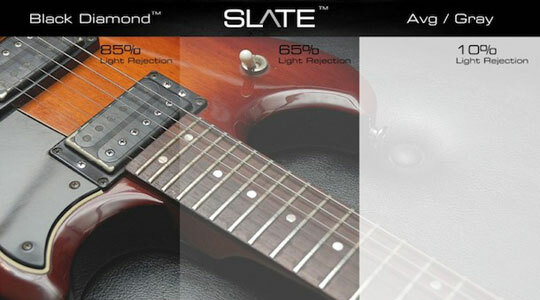 Your standard screen only offers 10% light rejection while Screen innovations offers products up to 85% light rejection. show above is Screen innovations white screen called Pure. 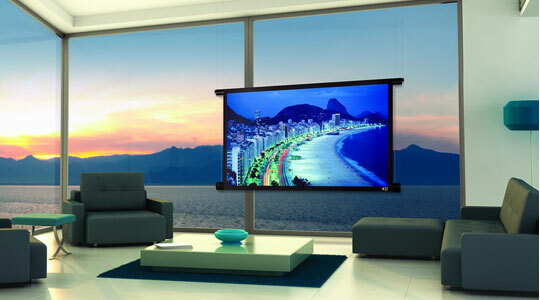 With it’s Pure technology it gives you a much smoother picture and greater detail getting the most out of your projector. Zero edge Screen shown with optional Led lighting.